Lionsgate’s sequel to the 1999 found-footage classic “The Blair Witch Project” is losing its way and no longer expected to win the weekend. It grossed only $4.1 million on Friday in 3,121 theaters, resetting three-day estimates down to just under $10 million. That’s more than 50 percent less than the $23 million trackers were expecting earlier in the week, with Lionsgate’s previous estimates set in the mid-to-high teens. “Blair Witch” was produced for a very modest budget of roughly $5 million, so, even on the low end of predictions, the movie — about a group of friends who return to a haunted forest in search of a young man’s sister — is still positioned for profitability. It has a dismal D+ CinemaScore, measuring response from opening-night moviegoers, and a low 38 percent on Rotten Tomatoes. Warner Bros. true-to-life drama “Sully” made $6.6 million on Friday from 3,525 locations — and will easily win the box office in its second weekend, with three-day estimates now set to top $20 million. Grossing $3 million on Friday, “Bridget Jones’s Baby” is expected to finish its debut weekend at $9.1 million. Universal’s rom-com sequel film starring Oscar winner Renée Zellweger was previously expected to gross just more than $14 million over the weekend — and now has been downgraded. Open in 2,927 theaters and produced for $35 million, the third installment in the series, following 2001’s “Bridget Jones’s Diary” and 2004’s “Edge of Reason,” also marks the return of Colin Firth, with Patrick Dempsey and Emma Thompson as added newcomers. Directed by Sharon Maguire, who also helmed “Bridget Jones’s Diary,” the new movie reveals that Bridget is unexpectedly pregnant. It has a respectable 78 percent on Rotten Tomatoes and a B+ CinemaScore. The sequel did well overseas, opening at No. 1 in 24 territories and grossing $13 million on Friday alone — setting international weekend predictions close to $30 million. Meanwhile, Open Road’s historical drama “Snowden” will be lucky if it breaks into double digits. Directed by Oliver Stone and starring Joseph Gordon-Levitt as N.S.A. whistleblower Edward Snowden, the movie is playing on 2,443 screens and was made for $40 million. Expected to end the weekend at just under $9 million, its A CinemaScore could help boost its second-weekend playability. Critics didn’t love it, however, as reflected in its Rotten Tomatoes score of 56 percent. Pure Flix Entertainment documentary “Hillsong: Let Hope Rise” made $628,000 from 816 locations. The movie, about Aussie Christian band Hillsong, has an A CinemaScore and a 60 percent on Rotten Tomatoes. It’s now expected to make under $2 million on its debut. 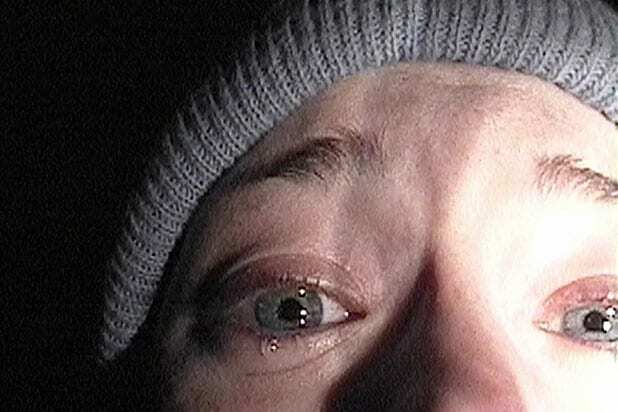 "The Blair Witch Project" was a major hit at the box office, grossing almost $250 million, although it was only produced for $60,000. Myrick worked on a few shorts and a documentary about the Blair Witch after the film’s release and is currently in post-production for “Under the Bed,” a story of where a stalker takes up residence under the bed of his target. In 2006, he co-founded a direct to DVD division of Warner Home Video that specializes in horror films. Donahue stuck more to TV in recent years, having had a role on “Taken,” “Without a Trace” and “It’s Always Sunny in Philadelphia.” She also acted in several TV movies like “The Big Time” and “Manticore.” Her most recent project was “The Morgue” in 2008. For her role in "Taken," she was nominated for a Saturn Award for Best Supporting Actress in TV. In 2012, she published a book titled "Growgirl" about her time as a medical marijuana grower. Leonard found the most success of the bunch, and racked up quite a few credits listed on IMDb, ranging from “CSI” and “Numb3rs” to “Bones” and “True Detective.” Most recently, he played recurring characters on TV shows "Togetherness," "Bates Motel," "Scorpion" and "Heartbeat." He also starred in "6 Years" alongside Taissa Farmiga. In 2015, it was announced he would direct "Behold my Heart" starring Marisa Tomei. A producer on the original “Blair Witch Project,” he also served as an executive producer on the 2016 sequel. He worked with Bob Eick, another executive producer on “Blair Witch Project” on a 2004 project titled “Say Yes Quickly.” Other horror movie he has produced include "Exists" (2014), "Lovely Molly" (2011) and "Altered" (2006). Will ‘Blair Witch’ Beat ‘Bridget Jones’s Baby’ in Box Office Battle of Long-Delayed Sequels?